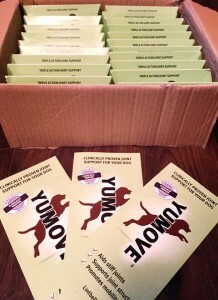 Clever Dogs Training School Ltd reviews Lintbells Yumove. Beginning in 2007, Lintbells is a company that is passionate about providing the best skin, joint and digestive health supplements for pets with an emphasis on only providing products that are scientifically backed by the most up to date research available. 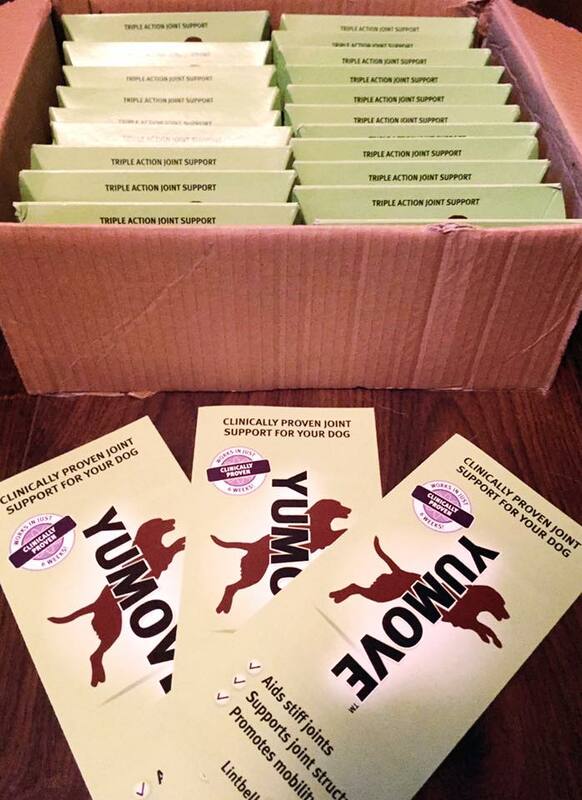 YUMOVE, which comes in a tablet form, is said to promote mobility, aid stiff joints and supports joint structure and is often described as the ‘most amazing dog joint supplement’ on the market and is the first of its kind to be clinically proven. As our line of work means we come across very active dogs of all ages and stages, we wanted to see for ourselves whether YUMOVE really does live up to the reviews we had read…and we had the perfect recruit in mind! Our first step was to contact Lintbells directly and speak to their Customer Service Team. We spoke to a lady called Morgan and after describing the history of the recruit we had in mind, called Zeus, Morgan offered to send us some samples of YUMOVE to try. The standard of customer care throughout the discussion was excellent and our impression of Lintbells increased even more so when the samples arrived the very next day, as Morgan had promised they would. Another aspect which impressed us greatly was that at no point did Morgan attempt to give us the ‘hard sell’. Morgan was honest and open about how the product worked and how to get the best results from using it. Our test subject, Zeus is 11 years old and as well as having mild arthritis in his hind legs has also in the past 12 months undergone cruciate ligament surgery and physiotherapy to help with post-op recovery and correct a slipping patella. Prior to using YUMOVE but after all of the above treatments had been completed, we noticed that in colder weather that Zeus would struggle to get up from a laying position and was reluctant to run for very long when off lead and it was these particular issues that we wanted to see if YUMOVE could help to improve. Needless to say, we were not disappointed! Although Morgan had initially said that results are usually seen after six weeks, we noticed after only two that Zeus was no longer struggling to stand after laying down and between the 5 and 6 week mark was when we noticed that he was running for much longer periods during off lead play and because of this, we knew that Zeus’ quality of life had improved too. Another bonus that we noticed is how shiny and healthy his coat began to look. Although Lintbells do not claim that YUMOVE will help to improve coat condition, we had been careful not to change anything else during the time that Zeus was taking the supplement and so we can only accredit this change to taking YUMOVE. In summary, we were nothing short of amazed at how well YUMOVE did work to help improve Zeus’ joint condition and along with all the rest we are left saying that YUMOVE really is the best dog joint supplement currently on the market. 10 confessions of a dog trainer.